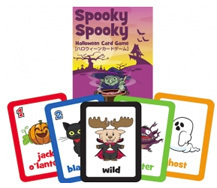 Spooky Spooky Halloween Card Game features 52 numbered and colored playing cards. Play a variety of games with the target language of your choice, including a traditional Japanese game (rules included in box). Perfect for Halloween lessons, parties and events! A fun, fresh and flexible game for Halloween with cute illustrations that will not frighten young children. 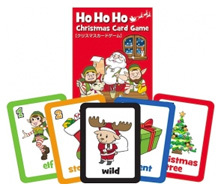 Get in the Christmas spirit with Ho Ho Ho Christmas Card Game. 52 numbered and colored playing cards allow you to play a variety of games with the target language of your choice, including a traditional Japanese game (rules included in box). 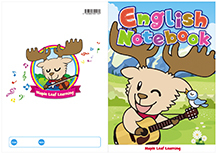 Perfect for Christmas lessons, parties and events. A fun, fresh and flexible game for Christmas! 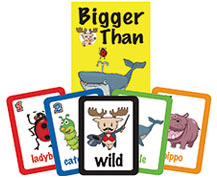 Bigger Than...a fun new game that will get your students using English naturally.Besides learning animals, the main focus of the game is teaching comparatives. Based on a traditional Japanese game, the rule of play is very simple to understand. Your students will NEVER get tired of this game! 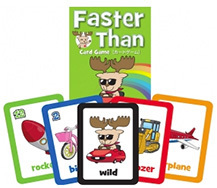 The cards can also be used to play a variety of other card games.